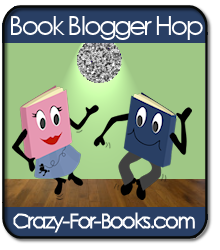 In the spirit of the Twitter Friday Follow, the Book Blogger Hop is a place just for book bloggers and readers to connect and find new book-related blogs that we may be missing out on! This weekly BOOK PARTY is an awesome opportunity for book bloggers to connect with other book lovers, make new friends, support each other, and generally just share our love of books! It will also give blog readers a chance to find other book blogs they never knew existed! My answer: Bleeding Violet by Dia Reeves. Hands down. With a character like Hanna, I need to see her on screen. I need to see this place they live in. I don't think my imagination is doing it justice! Thanks for hopping by! Follow and/or leave a comment so I can visit you next! I love the blog hop. Stop by for my answer and for a Book Blog Giveaway.